It has become an accepted belief that you will not be able to qualify for a mortgage after you have filed for bankruptcy protection. Many people believes that once you have filed for bankruptcy, your “financial life” is ruined forever. Many believe they will not be able to get a credit card, a loan and needless to say, a mortgage for a house. This is the furthest from the truth. Just because you have filed bankruptcy, you can still have that credit card, that car loan, or a mortgage on the house that you have been eying for years. Getting that mortgage for the house after your financial insolvency will take a little more work, but it is achievable. 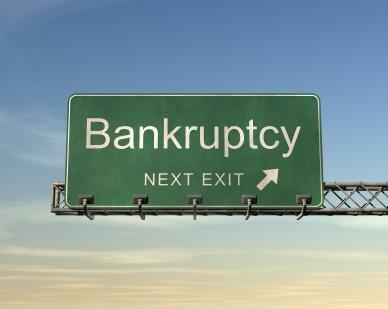 The misconception that one will be financially ruined after filing bankruptcy is just not true. In fact, most people who had gone through the Chapter 7 bankruptcy discharge or Chapter 13 bankruptcy discharge are considered by the credit bureaus better risk than those who still have a ton of debt. Given that fact, you will be able to get that credit card offer almost immediately following your bankruptcy filing or discharge. I am the perfect example of this. Not 2 months after filing for bankruptcy, I received an offer from Capital One for an unsecured credit card. Granted, the limit on this card was only $750, but this gives me a chance to rebuild my credit. Having a low credit limit on the credit card definitely reminds me of what got me into trouble initially. I now know how to live within my means and NOT just charge expenses on the credit card because the limit on the credit card allows me to. In the past, you were probably not worried about your credit history, your credit score, or anything related to your personal finances. This is a major mistake which ultimately brought you into the financial insolvency you have experienced. Now if you are looking to “rebuild” your life, you have to be vigilant about your finances. You will need to look to fix your credit report, rebuild your credit history and monitor your credit score almost religiously in order to put yourself in the position to be eligible for a home mortgage. Why is it important to fix your credit report? Part of your identity nowadays is your credit report, therefore you need to have this as accurate as possible. You want to make sure that the Big 3 credit bureaus (Equifax, Trans Union, Experian) are reporting accurately for you. If you see that something in the credit report is not correct, you want to bring it to the attention of the credit bureaus immediately. The creditors might not be reporting as often (if at all) hence your credit report can be skewed (for the worst). Follow the process of the credit bureau in question and look to correct this mistake as soon as possible. Once you are able to remove the incorrect information on your credit report, you are one step closer to having this creditor drop from your credit report in 10 years if you have filed for Chapter 7 bankruptcy. Having an accurate credit report means that you will have eventually have better credit score, and better credit score translates into a better opportunity to get a favorable home mortgage. Why is it important to rebuild your credit history? As part of your financial rebuilding efforts, besides fixing your credit report, you should also look to strengthen or rebuild your credit history. Creditors like to see a long history of good credit history, meaning that you use credit responsibly by paying for the credit charges on time and not abusing it. Some people wonder how anyone can rebuild the credit history if they do not have access to any credit cards? If you really do not have any credit cards post bankruptcy filing, then look to get a secured credit card. A secured credit card is one in which you have a prepaid spending limit, and you will never ever be able to spend more than what you have paid for. By using a secured credit card responsibly, credit agencies will see that you have “turned over a new leaf” and will be inclined to give you future credit allowances, which in turn translate into better credit history. Why is it important to monitor your credit score? This is the step that I will encourage you to do at least quarterly. If you know at all times what your credit score is, then you will know what makes your credit score go up or down from quarter to quarter. If your credit score continues to rise, that means whatever you are doing is working, and you should continue doing so. If it dips drastically for the quarter, then review what you have done: Did you buy a lot of items and hence tapped into the maximum of your credit limit? Did you continually apply for credit and hence portrayed a habit of excess spending? Try to avoid those activities that can negatively impact your credit score. If you are thinking of buying a house by obtaining a mortgage, or even conducting any big financial transaction, you will need to take the above mentioned necessary steps to fix your credit report, to rebuild your credit history, and to actively monitor your credit score. Once you are able to achieve all the credit rebuilding process, you should be considered creditworthy for that mortgage or loan that you are looking for. Remember, once you have seek for bankruptcy protection, it does not mean you cannot get any kind of loan anymore. You will just need to work harder at rebuilding your credit to show that you are a reliable and responsible borrower in the eyes of the lenders.